A man of diverse interests and talents, a champion of the avant-garde, Jonathan Williams (1929-2008) once listed his occupations as “poet, publisher, designer, essayist, iconographer.” He has also been described as “a busy gadfly who happened somehow to pitch on a slope in western North Carolina.” Born in Asheville, he has spent much of his life on Skywinding Farm near Highlands. He was educated at St. Albans School, Princeton University, and Black Mountain College, and also studied art and design at the Institute of Design in Chicago. In college Williams became interested in the rebellious and experimental poems that came to be labeled Beat poetry. Drawing on a wide variety of subject matter—jokes, politics, and other topical themes, as well as universal ones, Williams called himself a “visual poet” and often illustrated his poems with pictures or cartoons. His poetry derived from music and painting (including a series of poems written as spontaneous reactions to Mahler’s symphonies), from a concern for ecological sanity, and from a sense of social outrage. He was strongly identified with the Black Mountain group of poets who experimented with subject matter, form, word combinations, and mood evocation. Much emphasis was placed on wit, whimsy, and the combination of visual image and words to create desired impressions. He employed unexpected puns, repeated syllables, and word extensions. Although often critical of the American middle class, Williams delighted in mountain speech and traditions, frequently quoting hill folk in his poems and essays. 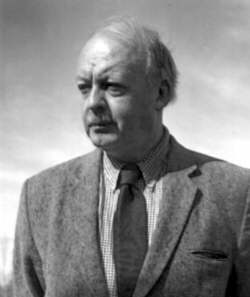 His more than fifty published books included An Ear in Bartram’s Tree (1969), Blues and Roots/Rue and Bluets (1971), The Loco Logodaedalus in Situ (1972), and Elite/Elate Poems (1979). Among his many honors were a Guggenheim Fellowship for Poetry, numerous grants from the National Endowment for the Arts, honorary degrees, and the 1977 North Carolina Award in Fine Arts. In 1951, Jonathan Williams founded Jargon Press to bring out works by then-neglected poets, especially those associated with Black Mountain College. His self-proclaimed mission: “To keep afloat the Ark of Culture in these dark and tacky times!” He went on to become one of the most active small publishers in the United States. Known as “the truffle-hound of American poetry,” he has rooted out and published such zesty writers as Charles Olson, Kenneth Patchen, Denise Levertov, Paul Metcalf, and many others.